T Minus 20: What Are Democrats Really Up To? With less than three weeks to go until the critical midterm elections, Republicans are becoming more enthusiastic as Democrats shift resources out of races long considered competitive. Late Tuesday, it was reported that the Senate Democrat campaign arm was no longer airing TV ads in Kentucky, giving at least a psychological boost to GOP hopes of retaking the Senate. The totemic focus on TV ad spending, though, may be missing the ongoing evolution of campaigns. 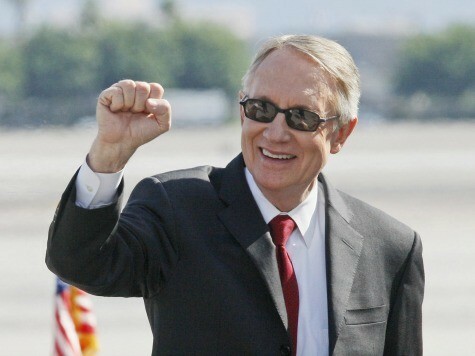 It is possible that Senate Democrats are simply pursuing a different campaign strategy. One that may surprise a lot of people on November 4th. It is an open secret among campaign professionals that the efficacy of broadcast TV advertising is declining rapidly. Outside of local newscasts, there are few “tent-pole” programs that attract a lot of potential voters. Only about half of those people registered to vote will cast ballots this year, meaning that some amount of advertising will be “wasted” on those who won’t be voting. Moreover, in the final weeks of the campaign, the airwaves will be saturated with political advertising from both sides and all manner of organizations. Almost all political advertising today follows a formulaic structure, making one ad almost indistinguishable from the next. Political scientists know that at some point voters “tune out” this noise. This exact point, however, remains elusive. It is reminiscent of the old quip about advertising in general; half is wasted, but we don’t know which half. At some point in the future, broadcast TV political advertising will be a relic of political campaigning, much like posters or buttons. That isn’t today, but that doesn’t mean a shift isn’t already occurring. The Executive Director of the Senate Democrat campaign arm pushed back against reports that the party was “pulling out” of KY on news of the TV ad shift. “Just signed a $300,000 wire for the KY Get Out The Vote operation for @AlisonForKY. That’s an interesting view of ‘pulling out of the race,'” he tweeted. No doubt, that is partly campaign bluster, but, if true, should scare Republican strategists looking over the political terrain. Democrats have poured enormous resources into their turnout operations. In NC, the national Democrats have pumped hundreds of thousands of dollars into the Wake County Democrat campaign committee, for example, to underwrite field operations. Republicans don’t have anything close to the turnout infrastructure of the Democrats. The GOP, indeed, has invested millions in technology, but they are still putting these new bells and whistles on a rusting scaffolding. The Democrats spent a lot of money on early advertising in almost all of the competitive states. So early, in fact, that they largely had the airwaves to themselves for several weeks. The most effective political ad is the one that is left unanswered. For weeks, Democrats had a one-way conversation with voters. As a result, all of the competitive races are still within just a few points. Almost all are in a place now where an overwhelming ground game and turnout operation can make a critical difference. One should always assume that an opponent is operating from a well thought-out strategic plan. This often isn’t the case, but a successful game plan is not built on assuming the other side is incompetent. It is, in fact, entirely possible that the Democrats are implementing a very shrewd strategy in defending their Senate majority. They saturated the airwaves early in the competitive states, when time was cheap. That early spending kept those races within a handful of points. Now that advertising time is much more expensive and increasingly noisy, they cede that ground to the GOP and invest their money into voter turnout. (Remember, early voting is under way NOW in many of the states.) Because the airwaves are saturated with ads, the GOP, relying on advertising now, gets much less bang for its buck. This frees up Democrats to flood ads into contests that only recently became competitive opportunities, i.e. Kansas, South Dakota and Georgia. With the exception of Georgia, voters in these newly competitive races haven’t yet been saturated with ads. Picking off just one of those seats make the GOP path to the majority a bit tougher. The Louisiana race is not likely to be decided until December, due to their “jungle primary” and the presence of a tea party-backed candidate. Georgia is also very likely to head to a run-off, decided in early January. As long as Democrats can push those races beyond November 4th, their immediate task is less challenging, as both are likely, ultimately, to go to Republicans. If Senate control comes down to single races in those states, hold on for a very rocky ride. In the end, it is likely that Obama’s falling approval ratings and the litany of bad news everywhere will overwhelm the Democrats’ best-laid-plans. Their over reliance on very small issues to excite very particular groups of voters can probably not overcome the bold negative headlines of the news today. That said, the days of judging campaigns by the size and timing of their TV ad buys are going away. It is important to note that in the Virginia governor’s race last year, the GOP candidate’s surge into a photo finish came after he had been off TV in much of the state for three weeks. That could say more about the efficacy of his ads than the state of campaigning today, though. Rather than signaling weakness, the Democrat plan could be a brilliant strategy. It may not be able to overcome Obama’s weakness, but it is probably a signal of campaigns to come.